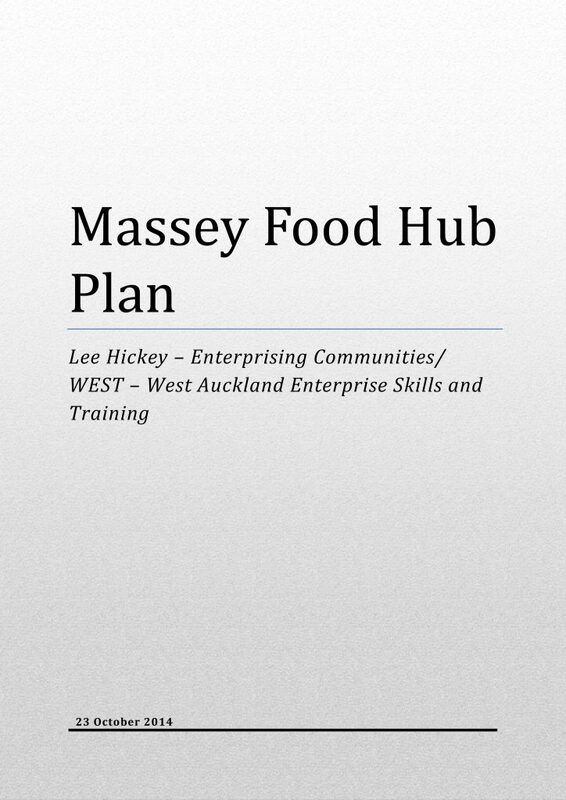 WEST – West Auckland Enterprise Skills and Training (formerly Waitakere Workers Educational Association – WEA) was contracted to scope the idea of a food hub located within the Massey Community House. The Massey Community Food Hub initiative is located within the wider Kai Auckland project. Kai Auckland is a movement for all Aucklanders that offers a cohesive and integrated approach to creating connection and nourishment through food. A group including local community gardens, Massey Matters and WEST are currently developing some of the ideas identified in the The Massey West Food Hub plan. If you would like to know more please contact Lee Hickey on 8371471.